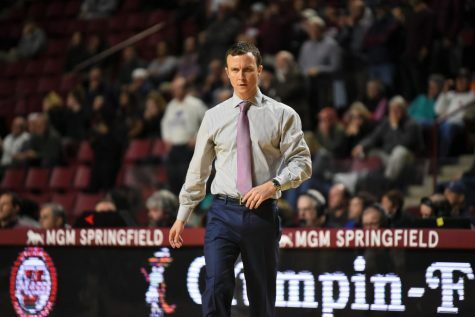 BOSTON – Through its first seven games this season, the Massachusetts men’s basketball team earned significant leads only to drop them to its opponent. 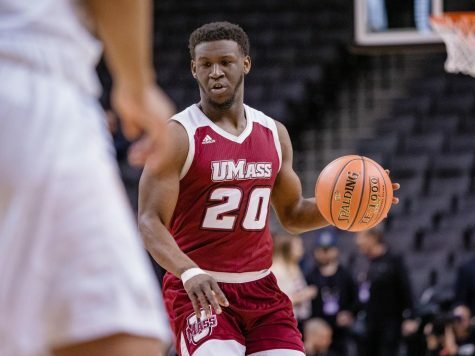 On Saturday night at the TD Garden in Boston, the Minutemen found themselves on the other side of the deficit against Boston College. 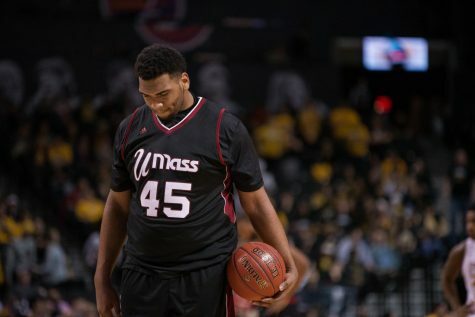 Just like previous UMass opponents, the Minutemen (7-1) could not come back from the BC lead and fell, 76-71. In falling short to the Eagles, the Maroon and White sought to chase down a lead, where in earlier games they had held a lead and then squandered it late. Guard Anthony Gurley felt trying to fight back was good for the team as a whole. The game against the Eagles (7-2) went right down to the wire. 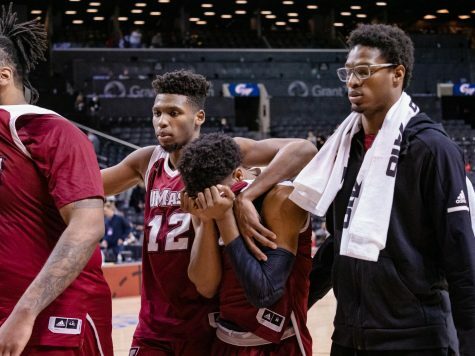 UMass found itself down a pair with five minutes to go and nearly took the lead with guard Freddie Riley’s 3-point shot, which bounced in and out of the hoop. Guard Reggie Jackson then proceeded to effectively seal the game for the Eagles, as he nailed a deep 3-pointer with an expiring shot clock to up the Eagles lead to four. An audacious slam by Jackson at the one minute, 39 second mark gave BC enough insurance to hold off a surge from Boston-native Gurley. Gurley performed well despite the troubles the rest of his team suffered. 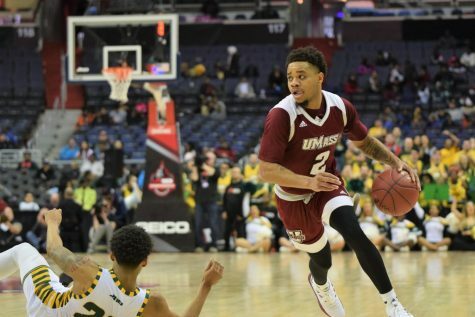 While UMass shot 30-for-66, Gurley went 10-for-20 with 22 points. The senior guard also grabbed five rebounds, had two assists and two steals. 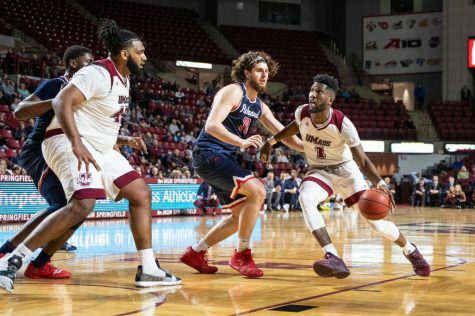 Though he had just one steal, guard Daryl Traynham returned from an injury Saturday night and put up a huge defensive effort against the Eagles. On three consecutive plays late in the game, Traynham fell victim to hard shoving by Jackson and forced offensive fouls. 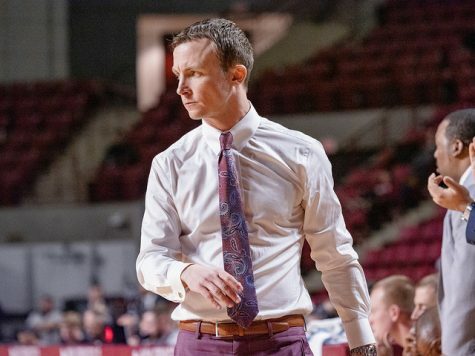 While the Minutemen started off slow in the first half, falling behind by 10 with a little over nine minutes remaining, UMass pushed back with a 9-0 run which included two consecutive baskets from Riley. 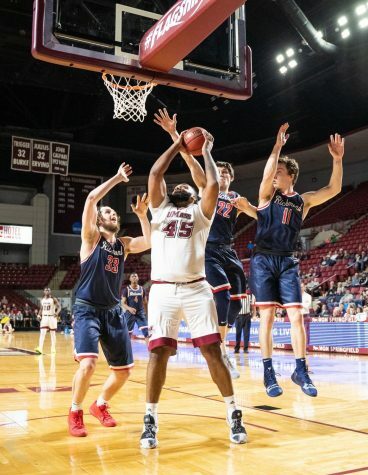 The first was a contested 3-pointer that woke up the crowd, and the second was a driving shot that put the Minutemen back into it. However, the comeback didn’t last very long. 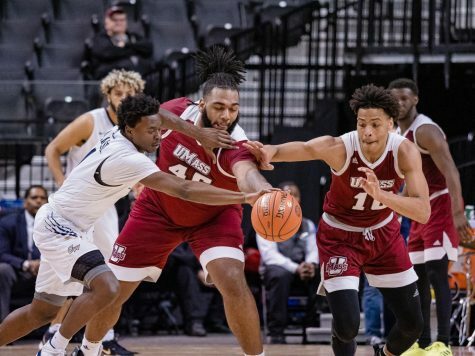 Just as it seemed UMass was back in the contest, BC went on an eight-point run of its own helped by the Minutemen committing fouls, which put the Eagles on the line for several easy points. Despite some UMass sparks, BC held onto the lead to leave the score at 35-24 as players went into the locker room at the half. The Minutemen shot 9-for-30 in the first half, going 2-for-10 from downtown. No single player stood out in terms of scoring either, as Riley led the team with five points, just ahead of Sampson Carter, with four. Joe Trapani led BC in the first half with 10 points, with no other player coming close to matching that total. The start of the second half made up for the slow beginning, as both teams traded baskets. 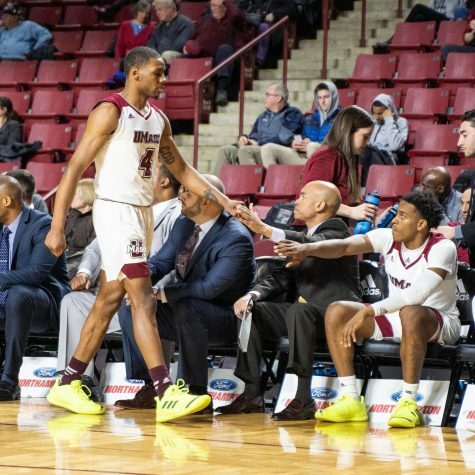 As the second half began, UMass showed some signs of a comeback off six points from Gurley, who had been very quiet in the first half. However, continuous 3-pointers, along with a crowd-pleasing dunk by Jackson, allowed BC to hold its lead and head back to Chestnut Hill with a victory.